I salute you for being one of the greatest and influential English writers of all time. I think we can all conquer that your works has given us high school and college students a massive headache with your early modern language (that’s correct – NOT Old English. We are not talking about Beowulf here. I have made this mistake before I took a Shakespeare class in college). Thankfully, I grew a penchant for your works as I am now an English literature major in college. Guess all that reading of Hamlet and Romeo and Juliet turned me into a hopeless romantic. Wait a second, Romeo and Juliet were kinda just a group of angsty and hormonal teenagers. Guess Hollywood has truly romanticize this tragedy, and couples compare their own relationship with Romeo and Juliet. Hey silly folks, don’t forget about that ending… This makes Shakespeare a true literary icon for centuries because he has impacted so much on the entertainment industry, people in relationships, writers, and anyone who can’t help a tragic love story. 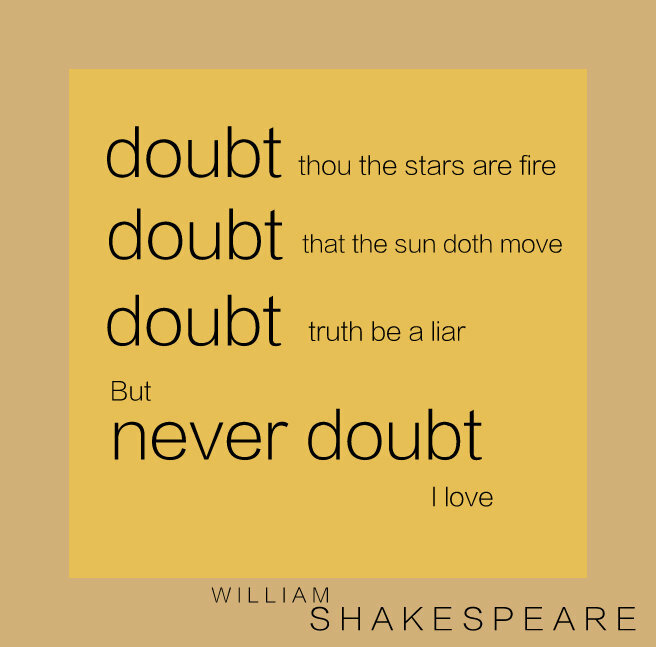 So Shakespeare, thank you. I hope we can all achieve this kind of original insight on creativity as much as you did.